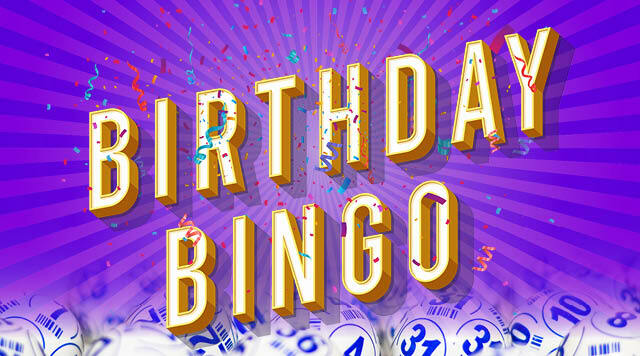 Party on Your Birthday in Bingo! Bingo Receive 5 Electronic Blue Packs for you and up to 5 of your friends every session! Free Dauber to Birthday Person. Validation and machine charges not included.